mental illness and co-occurring substance use disorders. Our dual diagnosis treatment programs are located in Florida and New Hampshire and serve families nationally. Treating the whole person by addressing each man’s mental illness and substance use disorder simultaneously in one setting. We provide side-by-side support to build upon recovery skills with an emphasis on community integration. WestBridge welcomes you and your family to our dual diagnosis treatment community, where we believe that every individual has the ability to heal through the process of recovery. WestBridge is a family founded non-profit providing the highest standard of behavioral health services since 2001. For dually diagnosed men over 18, our programs provide more than treatment. They provide hope. With residential and outpatient programs built upon evidence-based practices pioneered at Dartmouth Psychiatric Research Center, we address co-occurring mental illness and substance use disorders together, in the same setting. Many men come from all over the country for our specialized treatment approach and, unique to WestBridge, we fully integrate both family and community into every stage of the treatment process. This creates an effective healing atmosphere for participants as they are supported through their journey of recovery. Watch the video below to learn more about the WestBridge experience and what to expect for you or a loved one. We provide integrated dual disorder treatment that works. Our evidence-based treatment approaches have been extensively researched and demonstrated to be effective for individuals experiencing co-occurring disorders. With the application of these practices, along with the right multidisciplinary treatment team, men can, and do, recover. Integrated Dual Disorder Treatment (IDDT) is an evidence-based approach proven to help men with co-occurring mental illness and substance use disorders recover. IDDT provides both the mental health and addiction treatment at the same time, in the same setting, by the same treatment team. Additional evidence-based practices we utilize include cognitive behavioral therapy, motivational interviewing, assertive community treatment, supported employment, and behavioral family therapy. The most meaningful validation of our treatment comes from the testimonials of praise from the men who have succeeded in maintaining a healthy lifestyle upon recovery. We invite you to read some of these testimonials as well as our white paper on our outcomes. I am here for myself Let us help you start your path to recovery. I am here for a family member Let us help make your family whole again. I am here as a treatment provider Let us be your partner in finding the best treatment solution for your patient or client. Treatment gave me my whole life back. It gave my parents their son back. It gave my siblings their brother back. Doing what works in helping men and their families achieve recovery from dual disorders is important to us at WestBridge. In all of our programs, we utilize evidence-based practices that have been specifically designed for men and families that experience co-occurring mental illness and substance use disorders. Our residential treatment programs in Manchester, NH, and Brooksville, FL, are safe, home-like environments that provide evaluation, treatment, and support for adult men who experience co-occurring mental illness and substance use disorders. Our caring professionals are on-site 24 hours a day. Our Care Management Services for adult men is based on the Assertive Community Treatment (ACT) model. Studies have shown that ACT services are highly effective for men with co-occurring disorders who may need extra support to live independently in their communities and gain recovery skills. WestBridge is strongly committed to the integration of family in treatment. We have developed the evidence-based practice of Family Education and Support (FES). During FES, we support men and their families in working together over the course of his stay through education, skill building, and problem solving. 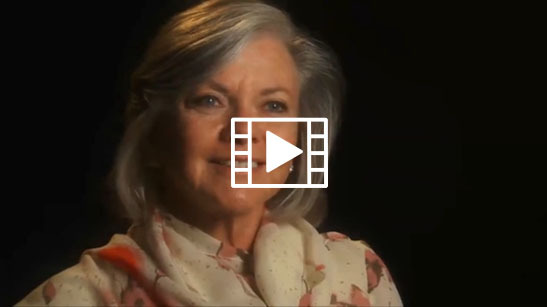 Learn more about the programs at WestBridge that set us apart from other treatment services; in the words of our Co-Founder, Loralee West. Learn more about events WestBridge will be hosting or attending. Visit our "Suggested Reading List" for a resourceful collection of books, blogs, magazines and downloads.